https://cdn.shopify.com/s/files/1/0655/4857/files/P006.jpg?16891368434849113343 - Fits for all version of iPhone 4 / 4s / 5 / 5s / 5C / 6 / 6s / 6 Plus / 6s Plus / 7 / 7 Plus - Made one at a time using our laser engrave technique - Slim and light weight, won't destroy the beauty of your iPhone - Easy to snap in and access to all ports, control and sensors - Carefully packed and send with box and bubble envelop ▼▼▼▼▼▼▼▼▼▼▼▼▼▼▼▼▼▼▼▼▼ This is a lovely handmade iPhone case which fits for iPhone 4 / 4s / 5 / 5s / 5C / 6 / 6 Plus. These are NOT factory made and are made one at a time with premium natural wood backing. 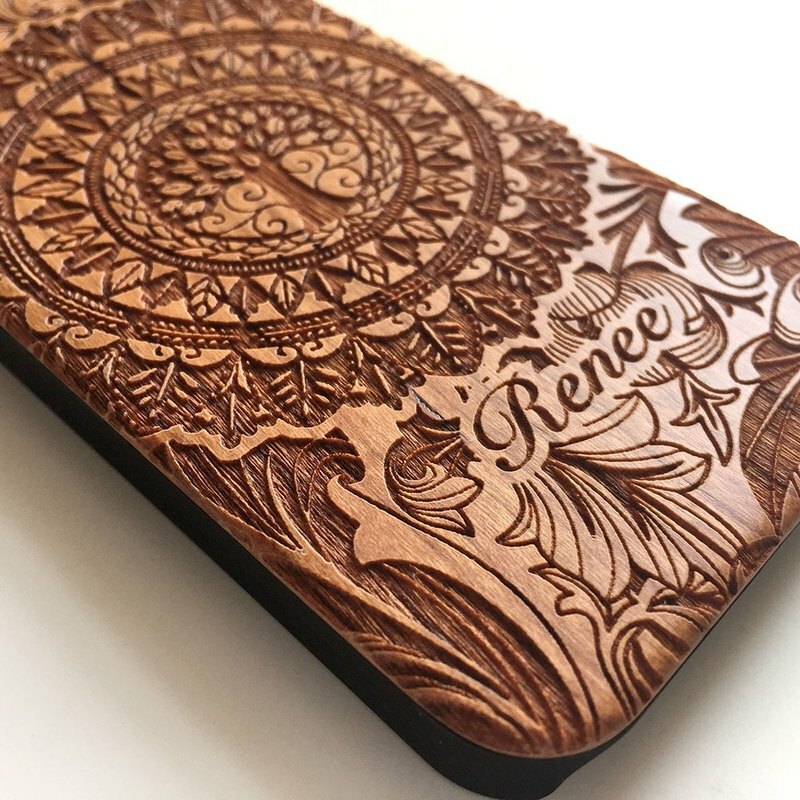 The backing is handmade and engraved on a solid natural wood with the finest detailed pattern. Then it is attached to a black matt plastic backing that fits perfectly on your iPhone. Each case is handmade and unique so it is common to have different wood pattern and slight colour variation (due to different monitor setting). ▲▲▲▲▲▲▲▲▲▲▲▲▲▲▲▲▲▲▲▲▲ All case in our shop is made to order. Please allow 5-7 working days for production.